Pilates is a low-impact exercise form focusing on strength, flexibility and stamina. A regular Pilates practice can lead to proper postural alignment, improve core strength, and correct muscular imbalances. Due to its cross-discipline application, Individuals who practice Pilates have reduced risk of injury when engaging in other activities, sports and exercise forms. How Does Pilates Work at SPEAR? We offer group Pilates Mat Classes and Private Pilates Sessions on the Reformer. Our classes are focused on building strength and mobility within healthy anatomical alignment. The traditional Pilates blend of controlled movements and breathing techniques challenges the body while calming the mind. Mat Classes take place in a group setting in our gym. A Certified Pilates Instructor will guide you through a series of toning exercises to impart healthy alignment, build strength and improve posture. A challenging yet easy going Mat Class provides a fun and safe environment to refine your strength and length. 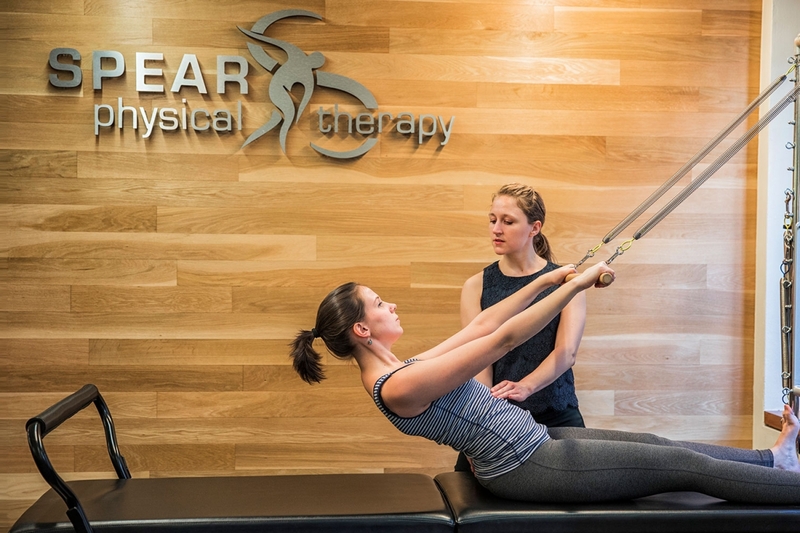 SPEAR Private Pilates Sessions take place on the Balanced Body Clinical Reformer with Tower (nick-named the Reformer-Half Cadillac), the number one choice of hospitals, rehab clinics and private practitioners worldwide. Sessions on the Reformer are excellent for anyone from beginners to those patients and clients with Pilates experience. The private setting lets us design a session around your needs and take time with the details that are important to you. The unique two-in-one Pilates equipment offers adjustable resistance and creates a framework to improve awareness of alignment. A Private Session will help you improve strength, coordination and proprioception, and leave you feeling refreshed, long and strong. With its emphasis on strengthening postural muscles to achieve optimal functional fitness, Pilates promises to make you longer and leaner, with improved joint mobility. It also helps burn calories, and targets your core like almost nothing else will, engaging your deeper abdominal muscles for a sleek, flat stomach. What does Pilates Cost at SPEAR? In addition to our Certified Pilates Instructors, three of our therapists (see below) incorporate Pilates principles into their rehab programs. This is covered by insurance as part of traditional Physical Therapy. Where in NYC are SPEAR’s Pilates Sessions and Classes Located? 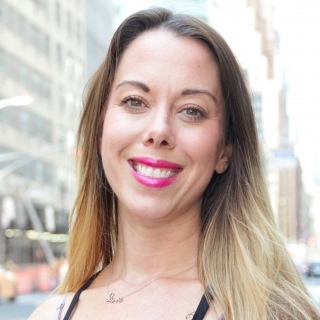 SPEAR Pilates (private sessions and group classes) is currently available from Certified Pilates Instructor Christina Carchidi at SPEAR’s Midtown – E 56th St facility. 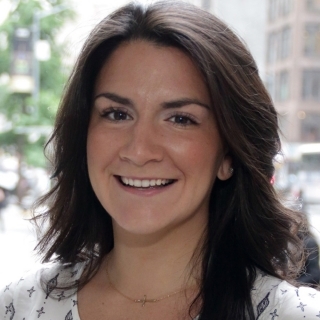 Kristen Markoe, PT, DPT at Midtown – W 57th Street also incorporates principles of Pilates into her patient rehab programs.